The first step in adopting Industrial IoT is Machine Monitoring. Industrial IoT is the wave of the future for manufacturing. Why? Because the goal in any plant or on any factory floor is to reduce costs to improve profitability without compromising quality and, therefore, remaining competitive. Add in the need to be able to respond to custom requests with minimal lead time, and it’s clear that there is a lot riding on the efficiency of any given machine. Manual methods and processes have gone as far as they can to achieve this goal, so it’s time to look to new options that go beyond the capacity of the individual and instead harness machine and operator data to achieve maximum efficiency. What was the condition of manufacturing before industry 4.0? Before industrial IoT, investigating the status of any given machine required labour intensive manual intervention. The cost to find a problem, in terms of downtime, was high. The risk of unplanned downtime was also high, as there was no way to predict the need for maintenance or repairs, other than the use of historical patterns. This lack of real-time data was highly inefficient because it was entirely reactive. Furthermore, each machine was operating basically as a standalone. There was no connectivity from machine to machine and therefore no ability for any one operator to see a slow down or impediment and adjust their part of the production line accordingly. 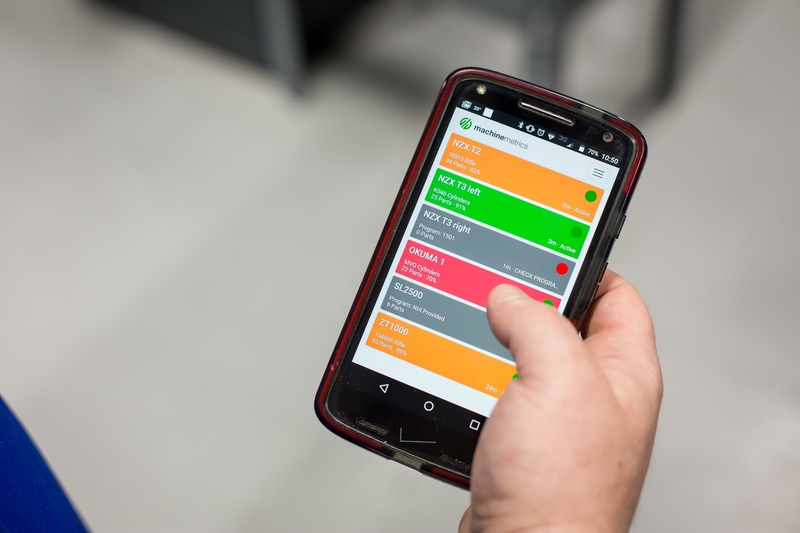 The other communication disconnect was between the shop floor and the management level that needed to make operational and scheduling decisions, based on efficiency and product results. 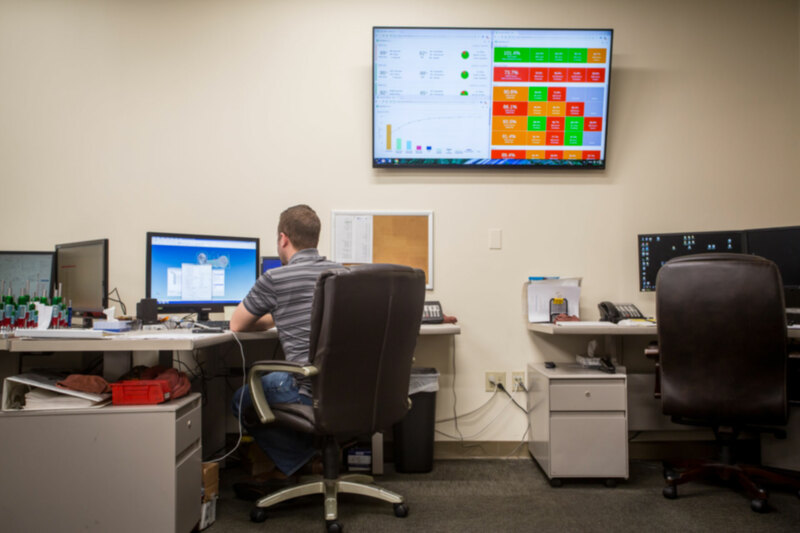 Machine monitoring involves installing web-enabled machine monitoring systems on every machine, throughout the factory floor and on every line. With data being collected continually, on every machine and from every operator in real-time, operators and managers are in a better position to harness that intelligence and make decisions that will improve efficiency across the board. Machines can also effectively self-monitor and flag operators when there is an impending problem, like a component failure. 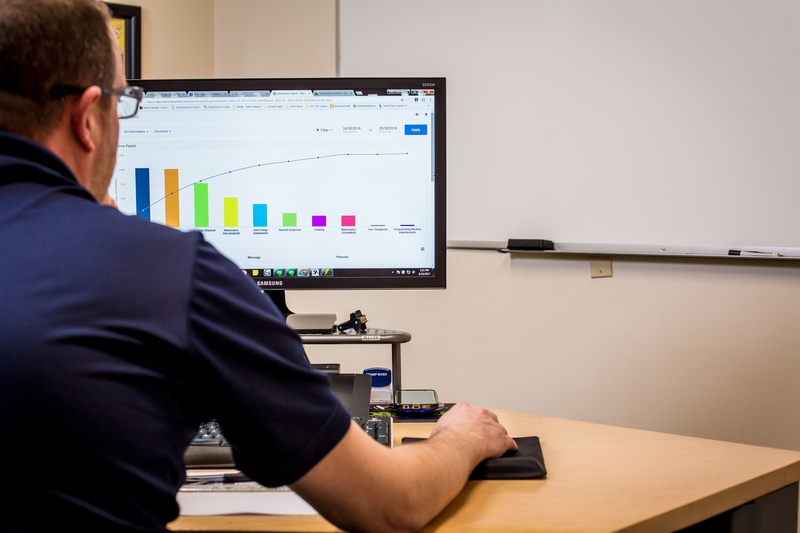 With wireless monitors connected to easy to use software, the data is collected, analyzed and translated in terms that provide fast and simple results that can be actioned on an ongoing basis. Some monitors are designed to connect easily with all machine types, including Precision CNC, SWISS, Stamping, and Die or Mold. The addition of touch screen tablets at each station can allow not only for machine data collection, but operator feedback on that data as well, adding the human context that also impacts efficiency and flow. Operators can also see, at a glance, whether the machines are performing according to organizational standards and / or OEE metrics. Data collection and analysis that is provided real-time, with alerts / notifications for data that falls out of established performance standards. With machine monitoring, it’s not just the immediate, real-time access to data that matters. The software that analyzes the data can also provide a lot of insight into repetitive inefficiencies, by shift, machine, or jobs. This kind of data will quickly identify any production bottlenecks that are eating away at efficiency standards. Operational efficiency is easier to achieve when operators and managers buy in. That level of change management is made effortless when all staff can see the information they need to get the job done, in real-time. Why is machine monitoring the first step in adopting industrial IoT? You can’t figure out where you’re going until you know where you’ve been. That’s true for any growth path, in any business silo. In the case of industrial IoT, it’s essential to know the current status of all machines on a line, in order to harness the data effectively. With this information, you know where you are starting from and can establish what goals you want to achieve in the transition to smart manufacturing. You can also clearly see what impediments you might have, both on a machine and a human resource level. For example, if historically one of your greatest impediments has been the inability to predict maintenance requirements accurately, this is likely also your first and most important goal in establishing machine monitoring and OEE metrics. What physical infrastructure do you have in place to manage a wireless software system? Does it need upgrading before you can even begin to monitor what the machines are capable of? 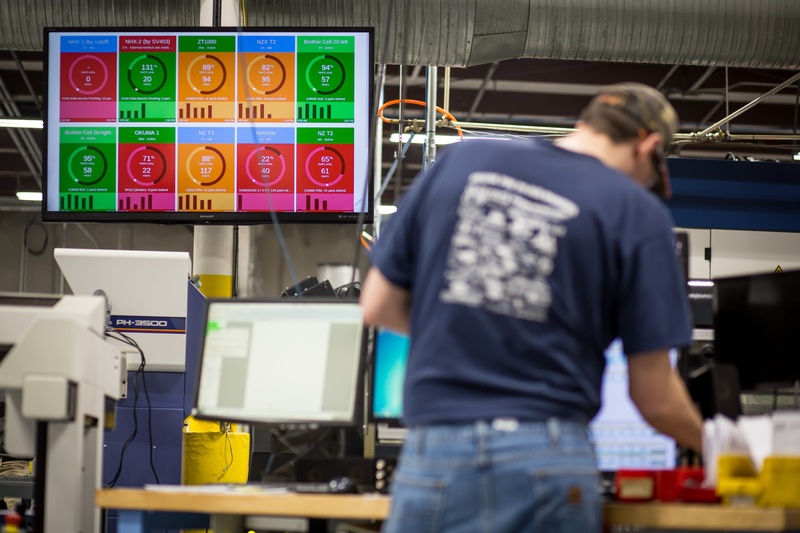 With these three steps evaluated and completed, you’re in a position to install machine monitoring and get a baseline of what your production capabilities are, as well as hard data and reporting on where there are inefficiencies, where metrics aren’t being met and where you can make immediate changes to improve. The baseline machine monitoring data is your starting point. From there, you can increase your manufacturing efficiency and ultimately your production output by an average of 20% or more! In a competitive industrial environment, which most manufacturers are in, that 20% is a huge benefit. Taking that first step in adopting industrial IoT takes no time at all but it will save your business time and money, from day one.